I will let you know how my project turns out. If they go to different breakers, they may be on different phases -- you will find that out soon enough, because there will be 240V between them, and the breakers will blow immediately once you power this on. You don't get settled into your nice, warm bed then wonder if you forgot to turn off the lights in your grody basement, two flights down, or the overheads in your greasy garage or the floods in your overgrown back yard. Do I use a three wire cable between the two lights? It's a standard wall switch. Hids would be nice, but not something I am getting into at the moment. Combining 2 switches into 1? Blacken it so everyone will know it is now hot. Hello, and welcome to Stack Exchange. Do you have to connect the ground wire to the junction boxes, and if so how do you do that? Contrary to my original post, it actually seems more likely that one red wire is unused, but it isn't a good idea to assume so. Belkin creates the product and they are sold at Office Depot or Staples. Refer to the following diagram for a visual. I'm going to guess that it is also very rare. Or turn them on before the timer switches close? The problem is that you have to remember the zone patterns, and guests can get confused. 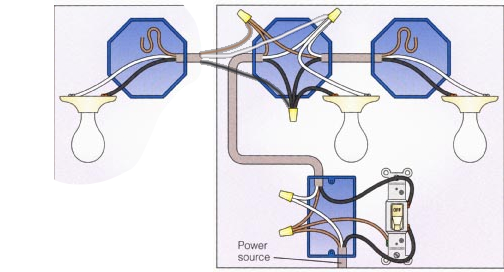 However power runs into the first box, connects to the light fixture and runs back out to feed another box. The outer jacket is the rubber coating holding all three individual wires together that make up the two wire cable. Probably just going to put the flood lights on an old fashioned motion activated system. We already discussed that in post three above. I know you have candelabra bulbs for the B fixture, so that gives you two choices. Otherwise your wires will melt and ground out and fry your battery and lights, or just catch on fire. 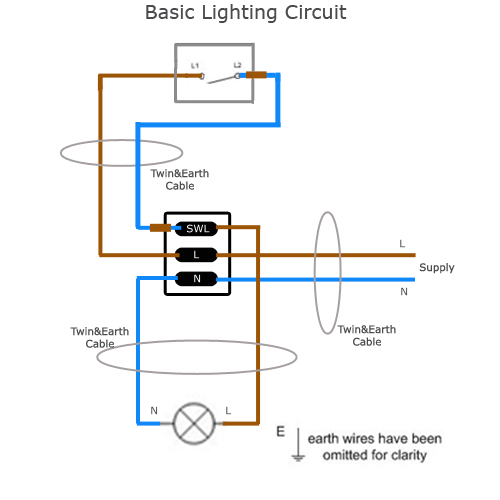 It isn't unusual to wire two or more light and switch combinations from the same power source -- in fact, it's common practice. Now carefully go back to each light and switch and tuck the wires into the areas provided and mount the lights and switches. In the basement I have 2 lights and want to install a switch. Abuela, I used to think your description was a viable way of wiring light circuits, because mainly that's what I'd observed in lots of older houses. These are popular for zone lighting, such as single tap for the entire room, double tap for one zone and triple tap for a different zone. I also have smart bulbs in the flood light to have them turn on at night with motion sensor. Double-check that you have cut off the electricity correctly by holding a non-contact circuit tester within 1 inch or so of the wiring in the switch. Nothing bad about trying and failing assuming you are intact and breathing! Don't risk burning your house down or zapping yourself dead by attempting this on your own. We can get both lights to turn on with the switch, but they are both dim, like they're only getting half power. There are a couple of options. It owsuld have been your finger providing the energy to toggle the states. You need a completely separate circuit for the new lights. I'm not saying only formally trained electricians should do electrical work, but it certainly isn't for everyone. Something like this is what you're looking for the end result to be: How do you determine how many lights you can connect to a single circuit? A picture is always worth a thousand words. It has been about 4-5 months and no issues yet. Basically, you want to start with a switch. You can run more than one relay off of the same switch though. Double click turns A on, Triple click turns B on. You need 2 seperate power wires. 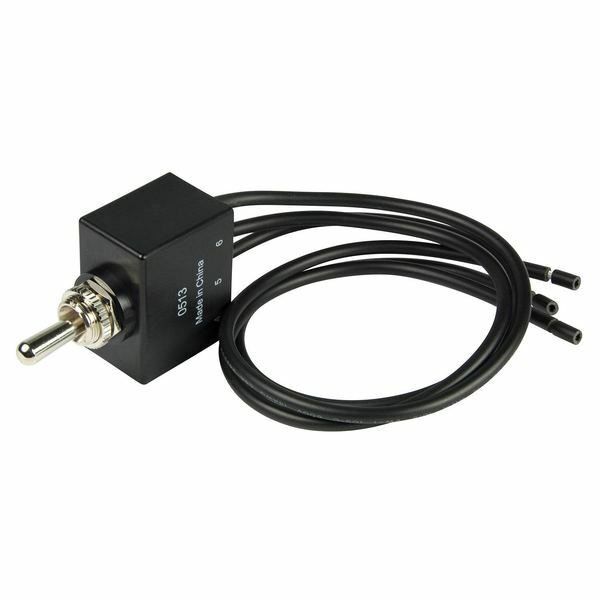 A standard 5 pin automotive relay is rated for 40 amps max. Switch a third time and the cam rotates 60 degrees, closing a circuit to both lights. I just bought and was able to successfully pair it with my SmartThings hub. Let's assume you're using 100 watt bulbs at 120 volts.